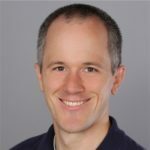 Quick Note: Scott Hanselman will be doing a blog post on the Docker 3 hour ASP.NET Community Standup from 1/17/17. We will add a link to his post as soon as it is available. Question: What is the release status for Kestrel? — Kestrel has been out for a while we released 1.0 in June 2016, 1.1 November 2016, and we are working on 1.1.1 and 1.4 servicing release for LTS and current due in February. Question: Can you share success stories of customers using ASP.NET Core for large traffic websites? — We do know of customers who have deployed it successfully. However, we don’t have any that we can share publicly. Question: Is it safe to use Kestrel in production ? — Yes it is safe to use Kestrel in production. However, we don’t recommend Kestrel being used as an edge server(don’t use it directly exposed to the internet). Question: Is ASP.NET Core supported in Visual Studio 2013? — No, ASP.NET Core is not supported in Visual Studio 2013. Today, ASP.NET Core is supported in Visual Studio 2015 using project.json tooling and Visual Studio 2017 using csproj tooling. Question: What is the recommendation for doing ASP.NET Core authentication? — In a post by Mike Rousos he goes over in detail how to get started with ASP.NET Core Authentication using IdentityServer4. Our next standup will be on February 7. Thanks for watching, and happy coding!